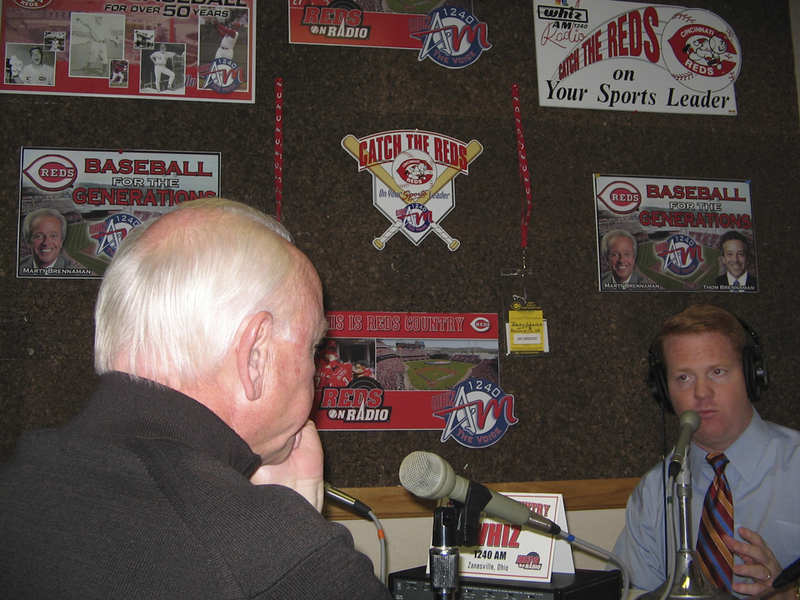 Walt Jocketty speaking with Brian Wagner from WHIZ in Zanesville. 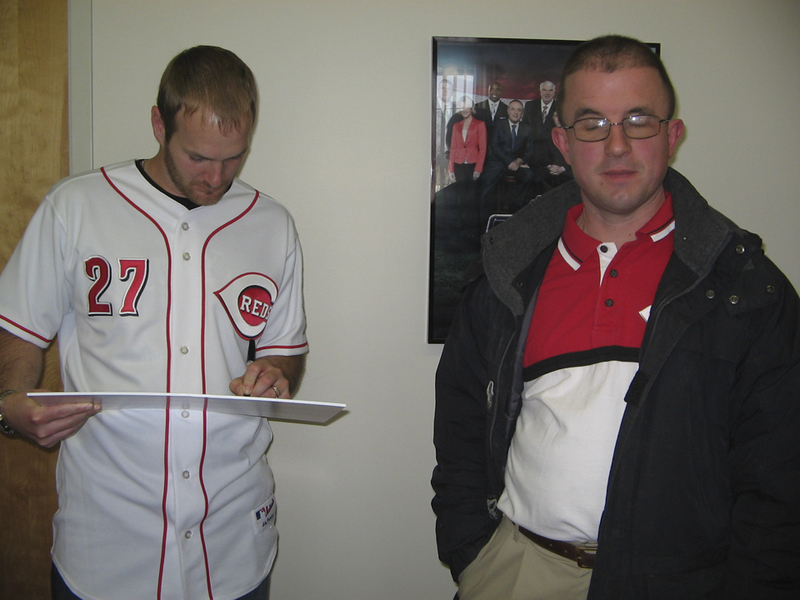 Meanwhile, Jeff Keppinger signs an autograph for a Reds fan at the station. After his announcements of no more purchases I”m surprised Walt is showing up in public, he obviously hasn’t read the Reds message boards. Here’s to a over .500 in 09!